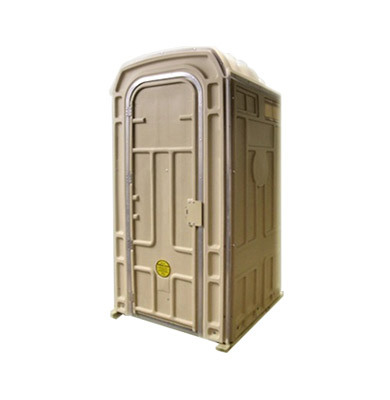 The Porta-John® model is perfect for special events, emergencies, disaster relief, military use, and other large gatherings. 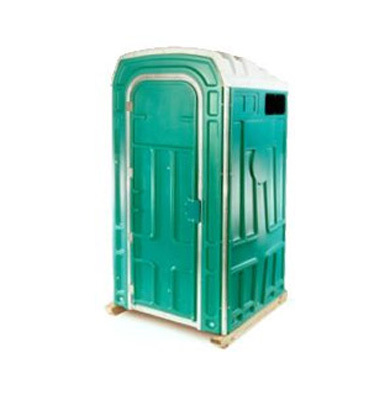 This patented model has two distinctive features that make it stand out from the competition. 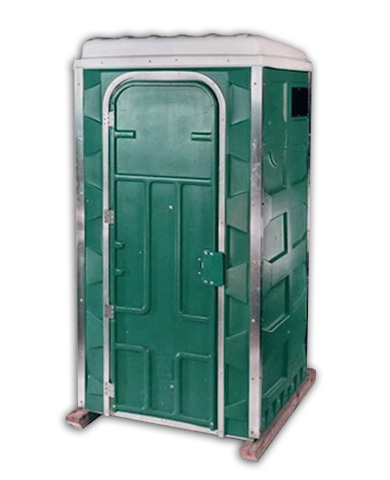 When not in use, the Porta-John® folds down taking minimal room. 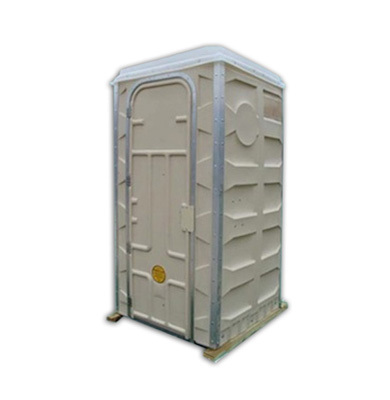 In fact, we can fit 100 units into a 40′ shipping container. However, the most remarkable feature with this model is that it can be deployed in under three minutes! 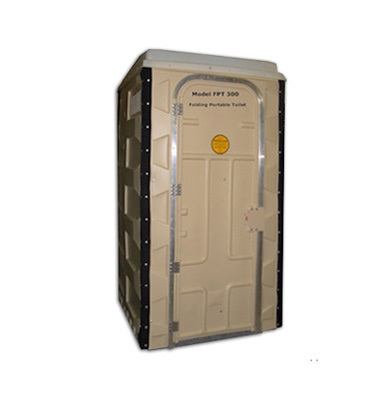 When deployed, the Porta-John® stands at 41”x41”x80”. Assembles in minutes, it must be flimsy? Wrong. We only use high quality building materials and designs. 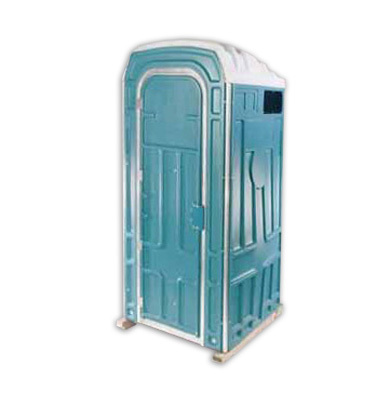 With an added double clamshell door, this model is sturdy and durable. 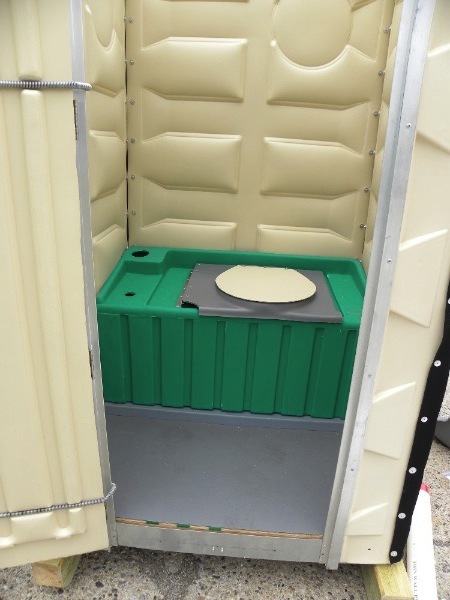 The Porta-John® comes with a flip top holding tank. This tank easily fits through the door for and even easier set up. 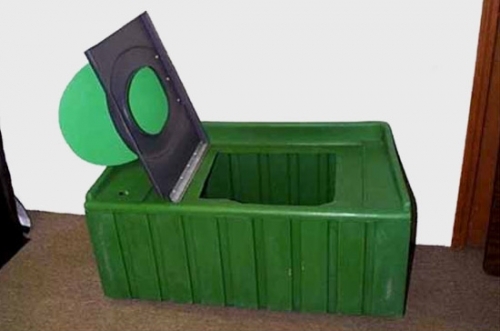 The flip top lid allows for easy access to clean, inspect and debris removal. 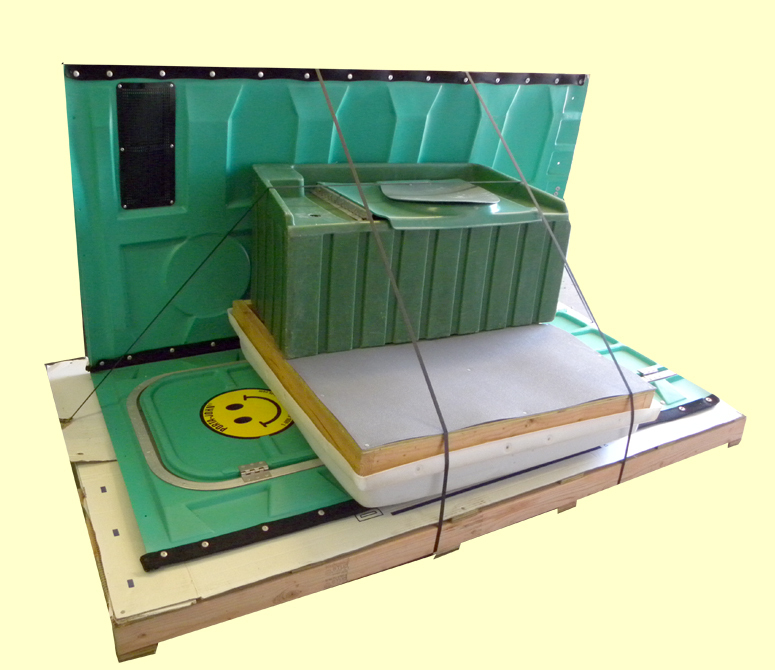 With it’s convenience, shipping size, and speed of deployment, this model has been used in several disaster relief efforts across North America. 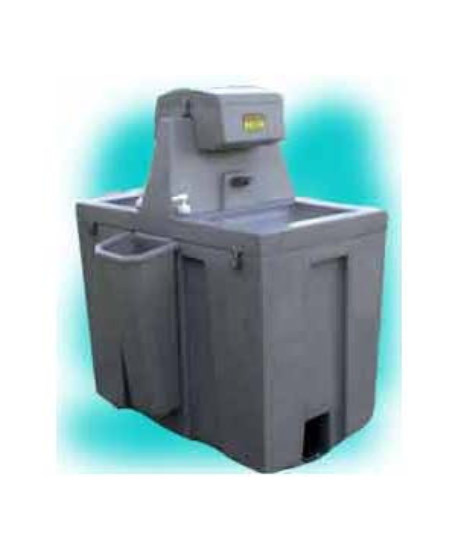 Reconditioned Model – Save over 25% with our 100% working reconditioned models. 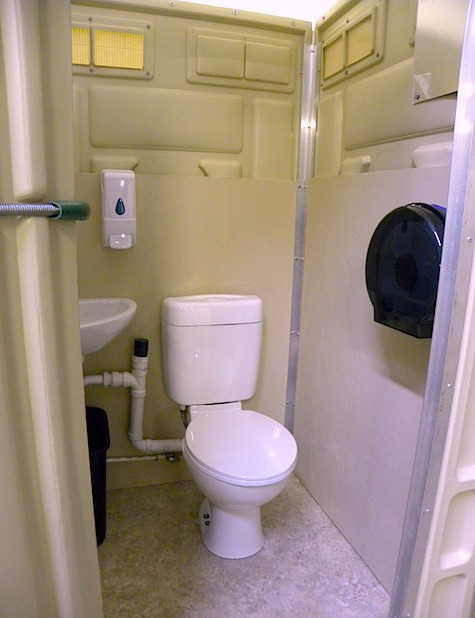 From a past business sale, we have over 1500 reconditioned Porta-John® toilets. 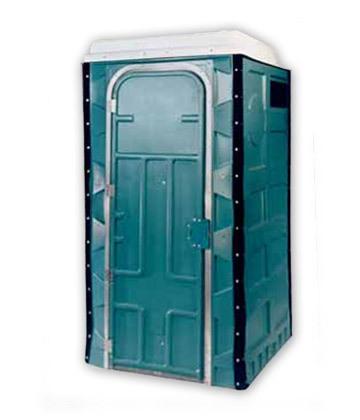 Each unit has been thoroughly inspected, and is in 100% working order. 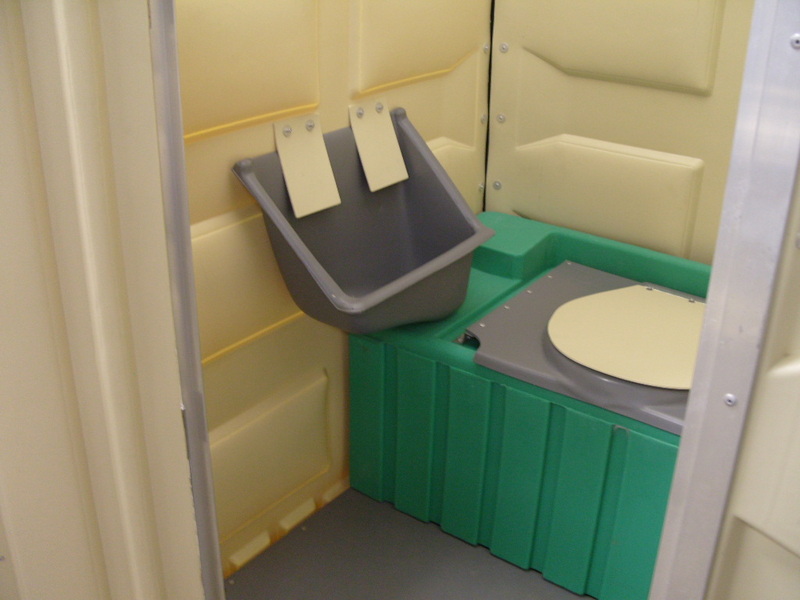 We put our name behind every product we sell, and that includes our reconditioned portable toilets. One hand sanitizer unit with mounting brackets and Velcro.